– Low setup costs: fast installation and full integration of CKS.DMS into the workflows and approval procedures from SAP Business One reduce the setup costs considerably. 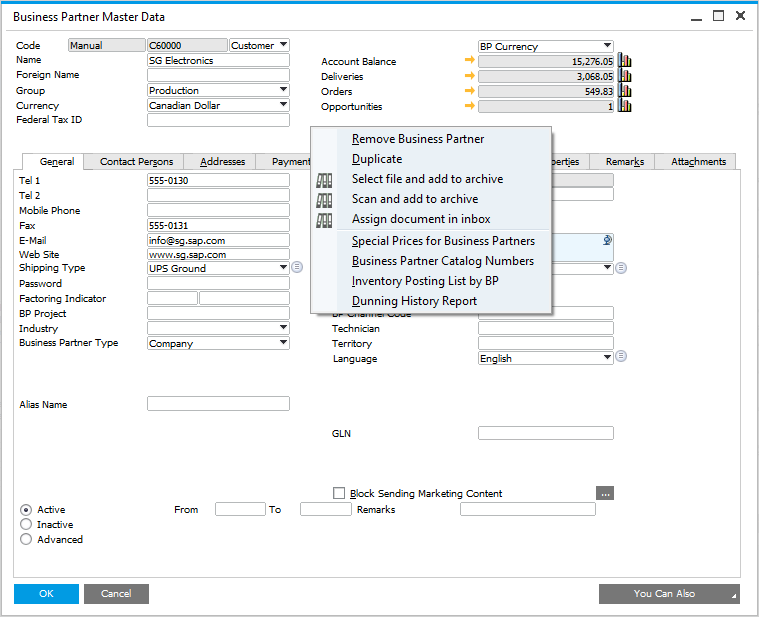 CKS.DMS Web, the new Add-On for CKS.DMS, provides an interface that allows for fast and efficient data retrieval in SAP Business One and CKS.DMS via a browser – with the intuitive usability that this always brings. With the help of a Web server, direct access is made to the SAP database as well as the archive data, which considerably reduces processing times, for example when dealing with customer data and vendor data via clients. However, the best part is that these data requests can be made from anywhere. Of course, the safety settings of SAP are used and enhanced to guarantee that only those who can access sensitive data are those that are authorised to do so. C.K. Solution will keep you up-to-date on their website with regular industry-specific examples. You can also look forward to further contributions that present solutions which can also be used to simplify the processes in your business.